Not surprisingly, Manneken Pis, Belgium’s iconic peeing boy figure, is dressed in red, white and blue in honor of the 4th of July. But his counterparts are still naked — and poised to pee — just as they are every day. Jeanneke Pis squats behind bars. You can find her in an alley near Delirium. And Zinneken Pis always has his leg raised against his favorite post. Every dog’s dream, I’m sure. I’m not sure how most Belgians feel about having peeing statues as a symbol of their capital city, but it was sweet of Manneken Pis to dress up for America’s Independence Day. LOL. I should mention that Delerium Tremens is a bar and they have their own special drink that’s pretty strong. That’s where you’ll find the younger crowd. You’d be locked up over here doing that. I’m not sure what Belgium is for actually. OK nice buildings. Beer is delicious. They’re good at cycling. And football. But really it hasn’t much purpose. Don’t forget the chocolates, Roy. And the waffles. I suppose we could make a connection between beer and having to urinate, but legend goes that Manneken Pis saved the city from burning down by putting the fire out his own special way. Perplexed. 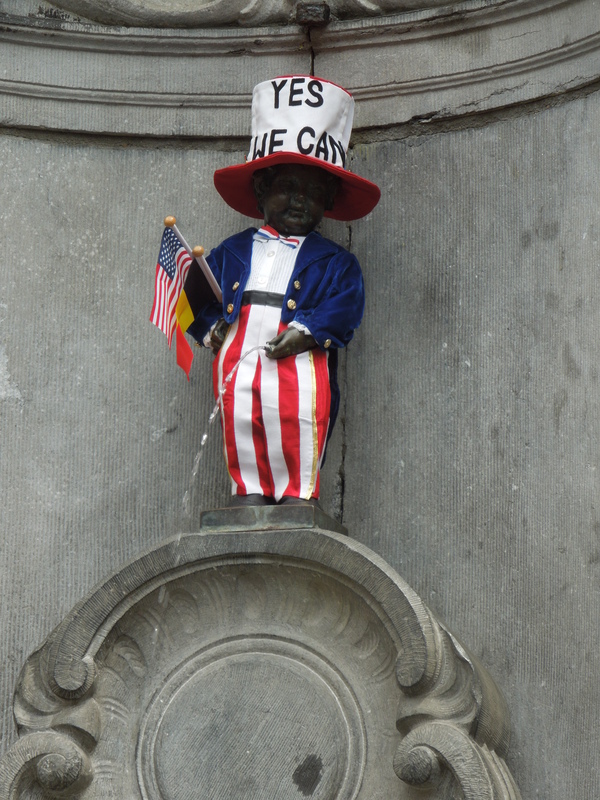 I knew about Manneken Pis, and there’s a certain charm about dressing him up for the 4th. But I’m not finding the others quite so charming. Haha. It is odd. Manneken Pis does have his own charm. 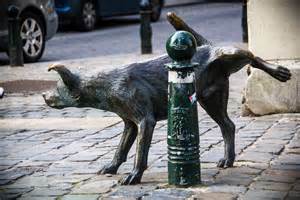 And I can appreciate the dog statue because you will find my own dog in that pose at every step. But Jeanneken? Weird. 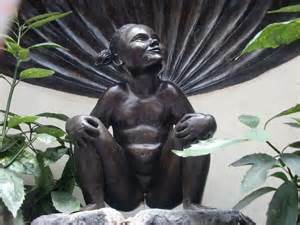 Manneken Pis is old. I think Jeanneke was erected in the 1990’s. I’m not sure about the dog. But I can promise you that my dog would lift his leg to pee on either Zinneken or the pole Zinneken is marking, too. I didn’t know such a figure existed. That’s cool, in a weird but awesome kind of way! Manneken Pis has taken over Brussels. The other two are not well known, but it’s all odd, isn’t it?